The Urban Music Scene’s A. Scott Galloway sat down for an extensive interview with Tony Cornelius, son of Don Cornelius, who oversaw the long-awaited making of “American Soul.” Here he discusses his father’s unsung legacy, his dedication to assisting people in understanding how to prevent and cope with suicide, learning the ropes of show business by working on “Soul Train” from the bottom up, and being the face of the “Soul Train” brand which includes hosting the annual “Soul Train Cruise” that has sold out nearly every time it sets sail. Enjoy! A. Scott Galloway: When did your relationship with your father move from familial to one of working together? 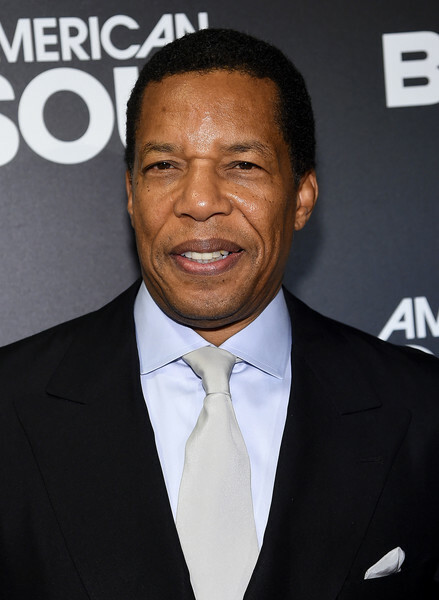 Tony Cornelius: I moved from Chicago after working at CBS Television WCIU-TV – where he started – after graduating from college to attend AFI film school in Los Angeles. From there I went to working on different shows in the industry and started my own company for smaller projects. Then I started to work alongside my father on “Soul Train” as a cameraman and production assistant on my way up to producer and executive in charge of production. He gave me an opportunity to learn all of the jobs in the business. That’s how I started my journey. Galloway: At AFI, was your intention to become a director? Cornelius: Actually, a cinematographer. He convinced me to get involved in producing. Galloway: Was it before or after your father passed that you began to feel you would be taking over his legacy? Cornelius: I never really thought I would take over his legacy… As a son, you think your parents are going to live forever. I was just as shocked as anybody when my father left this earth. From there, I felt I had to do something because I realized that the work that he had done was so important to people, based on conversations I had. That developed into me getting involved in his business. Not my business…his business. Galloway: Was a “Soul Train Cruise” something that he ever talked about? Cornelius: Kennard Gibbs, who was the CEO of Soul Train Holdings once we sold the brand, and Michael Mitchell with TimeLife, came to us to find out if we were interested in getting in the cruise business. We thought it was a really good idea. Most of them have sold out. The first one sold like hot cakes! We did one cruise from the West Coast which did not sell out. Most cruises leave out of Fort Lauderdale. People from the east can really get a “Soul Train Experience.” Plus, I think there are more of us east of the Mississippi anyway! 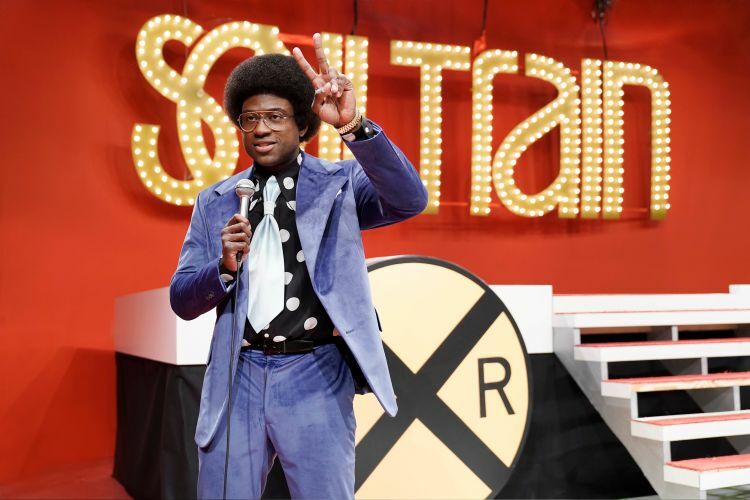 Galloway: Do you ever regret selling the Soul Train brand and all the classic episodes? But, sure. When I think about what could have happened if I had everything, it may or may not have worked. But where I stand right now – being the face of the Soul Train cruise and other projects – it worked out the way it should work out. Galloway: Did you enjoy being on the “Soul Train” set when you were young? Cornelius: To be able to appreciate all of the work and detail that was put into the show – writing scripts, setting lights and cameras, booking acts, selecting dancers, designing sets, dealing with advertisers – yes. I enjoyed all of that. Galloway: Did Don ever let you just hang out? Cornelius: He was a serious producer and businessman, so there was no hanging out. You had to be involved and learning something. Galloway: What were your favorite “Soul Train” performances? Cornelius: That’s a really tough question... I enjoyed Barry White…so many. More than anything, I enjoyed the process of seeing who was hot and who was not. Seeing who showed up ready and those that didn’t prepare. We took pride in knowing we were prepared for the artists as a production company. Then editing and seeing it air on television. That was my joy. Galloway: Are you involved in booking acts for the Soul Train Cruise? Cornelius: I’m involved in that and Star Vista does a great job of coming up with ideas. This is about creating an atmosphere for those that are traveling, It’s not just about music. It’s about food, cabins, safety and all the special day to day activities like yoga, cooking classes and dance-offs. The artists are the treat but most people who cruise do so for all the other things I mentioned. Galloway: With all of your access to entertainers, did you ever want to be one or has your focus always been behind the scenes? Cornelius: I do a little bit more out front now. I introduce all of the acts. I do a lot of the commercials. Then there’s our show “All Access Pass” where myself and Angela Stribling interview the artists. They tell me I’m not bad, so I’m doing more of it. Galloway: Where did the dream of a movie about Don and “Soul Train” begin? Jesse has a production deal at BET. We searched for a writer of our title “American Soul.” “Soul Train” lasted over 37 years so there was quite a bit of material to cover. With the background my father had plus all the artists and things that happened behind the scenes, they decided a 10-episode series was what they wanted to get involved in. The story is the struggle set in the early `70s – music, dance and fashion – and the untold stories that happened during the productions with record labels, artist managers, all in the backdrop of what was going on in the country – Vietnam and such. Then there is my father’s personal life, his relationship with my mother, Delores Cornelius. I’m very pleased with it. Devon Gregory wrote the piece and did a magnificent job. Galloway: How did you work with Sinqua Walls playing your father? Cornelius: It’s very difficult to take on someone’s personality but he captured my father’s essence. He did a lot of research…looked at hours of tape. And we had a lot of conversations about my father. I was on set a lot of the time to make sure things were captured properly both in the writing and the performance. Galloway: Did your father feel appreciated for everything he accomplished in his lifetime? Cornelius: He told me many times that he didn’t feel really appreciated. He certainly enjoyed many of his accomplishments but he was constantly trying to compete with the best. As Black men, we are constantly competing with things that are unfair. A lot of things go on behind the scenes that people don’t know about. It’s not easy to stay on top. We struggled for ratings every year working with Tribune quarter to quarter. This had us constantly making changes whether it be the theme song, the animated train, the dancers or the music. “Soul Train” started as an R&B experience. Then here comes Disco, Rap and Hip Hop. We were constantly having to evolve. Galloway: Psychologically, how did you deal with putting your father’s suicide on the screen for all the world to see? Cornelius: My father took his life February 1, 2012. The more I talk about it the more I heal. I started the Don Cornelius Foundation which helps those in transition, and those struggling with suicide and mental health. Starting that has also been a means of healing for myself. At the same time, I’m on the national board for the American Foundation of Suicide Prevention. I happen to be the only African American on that board and I was honored to be asked. My focus is on suicide in the Black community. It’s still a learning curve for me. I never imagined in a million years that I would be talking about this. I always thought suicide was for the weak – for those that couldn’t handle it. It’s a totally different thing once you’re affected by it…once a family member or close friend commits suicide or has mental health issues. People need help…friends that know what to do when things like that are happening. 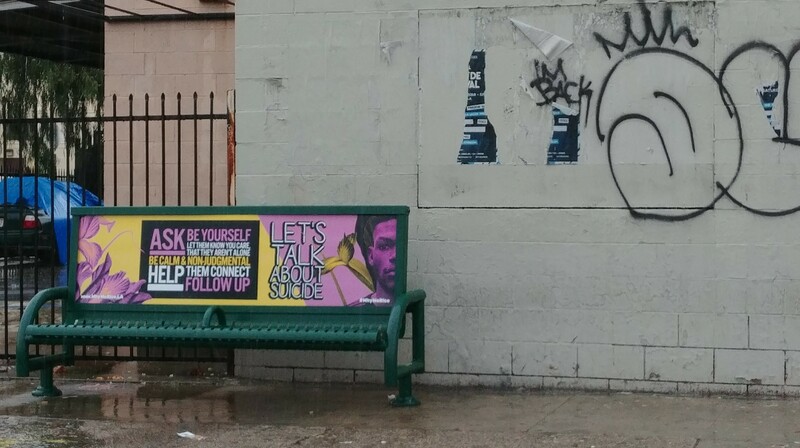 Galloway: I just saw an ad on a Crenshaw Boulevard bus bench sharing advice for people that suspect a loved one is considering suicide. Cornelius: People are talking about it more. At one time it was a veil of shame for families. “American Soul” is getting together with the American Foundation for Suicide Prevention to create opportunities for those that are struggling. Galloway: What is your perspective on the legacy your father left behind? Cornelius: It makes me happy to know that people still love “Soul Train” and that the artists still enjoy being a part of “Soul Train.” There’s a 7-day themed cruise that breathes “Soul Train.” And when our ship docks, people flock from other ships to see it. One person saw all the Black people coming off the ship and asked if Barack Obama was on it! They had never seen so many Black people on a cruise ship. So, it makes me very happy to know that if we can’t live on land, we can live at sea – with the same kind of energy and love that my father started almost 50 years ago.